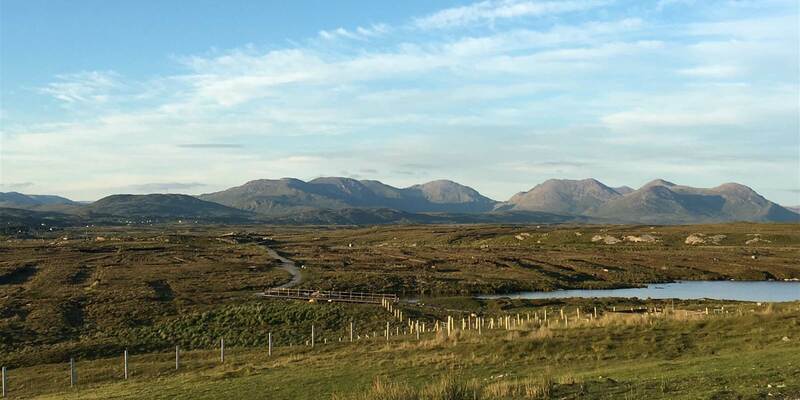 Located only a 30 minute drive from Ballynahinch, the Derrigimlagh Discovery Point is a must see when visiting the Connemara area. Derrigimlagh is the site of two historical transatlantic achievements: Marconi Wireless Station and the landing site of the first non-stop transatlantic flight by Alcock and Brown in the “Vickers Vimy”. This scenic point has been recently developed to highlight the area’s fascinating history and includes a 5km walkaway around the site through the bog. The ruins of Marconi Wireless Station and the momument to Alcock and Brown have been brought back to life by many historical themed hideaways and historioscopes located along a 5km looped walk.